The Gfinity FIFA Series kicks off this weekend as some of the world’s best FIFA players fight for points on the road to qualification for the 2019 FIFA eWorld Cup. You can watch both days of the tournament live on Twitch, and before the action gets underway, we’ve picked out some of the players to watch going into the tournament. 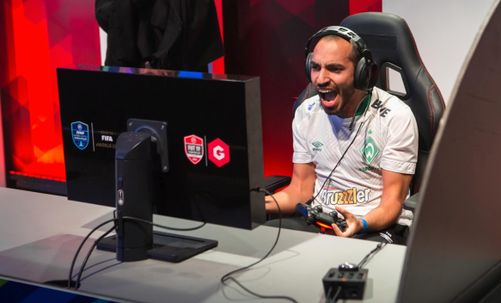 The star attraction in competitive FIFA 19, the young Brit has taken the scene by storm and comfortably sits atop the rankings after a stellar year coupled with impressive victories in the FUT Champions Cup and the PGL FIFA 19 Cup. Having initially been labelled a “one-tournament wonder” after his shock win in the FUT Champions Cup in Barcelona, Tekkz has gone on to establish himself as one of the most exciting players on the competitive FIFA scene. Praised by commentators for his versatility and incredible dribbling skills, Tekkz ranks as the outright favourite ahead of the tournament, with his opponents facing an uphill battle to combat his ability to adapt to any in-game scenario. One area that may assist him even further is the recent FIFA 19 patch which has placed less emphasis on AI defending, meaning pros will have to be even more alert when facing Tekkz in possession. 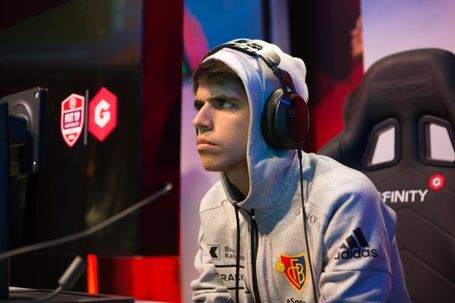 As a part of one of the most impressive FIFA teams around, FC Basel Esports, the young Argentine belies the conventional emphasis on speed and skill moves by crushing his opponents with supremely whetted possession-based tactics. With three FUT Champions Cup wins already under his belt, Nicolas99 will be aiming for a fourth to strengthen his push for a qualifying spot in the FIFA eWorld Cup. Employing a more defensive 4-2-3-1 formation, Nicolas99 is one of the most tricky FIFA players around as he famously twists his opponents into knots as they strain to keep up with his intelligent passing plays. As with Tekkz, it will also be interesting to note how the latest patch affects his play style, as having traditionally relied on a strong defence, Nicolas99 will need to be quick to adjust to the new controls if he is to come out on top this weekend. One of the most highly-rated FIFA players on the circuit, MoAubameyang has been steadily improving over the past three years to the point where he is now one of the favourites at any tournament he graces. However, without a major tournament win since the FIFA 17 Paris FUT Champions Cup, he’ll be keen to back up his credentials with a win on the big stage and go one better than the last edition of the FUT Champions Cup at Gfinity in London when he finished second. Blessed with creative attacking instincts and tenacious when not in possession, the Werder Bremen Esports man will be keen to make his mark to show just why he is rated so highly by pundits and fellow players alike. Well-known to the Gfinity crowds having taken part in Season 3 of the Elite Series with Hashtag United, Agge is one of the elder statesmen of the competitive FIFA scene despite being just 22, having won the FIFA eWorld Cup (then known as the FIWC) way back in 2014. The Dane’s FIFA prowess is plain for any observer to see, but he’ll be hoping to make a big impact and build on his strong monthly rankings. Now on the books of North, a Scandinavian esports organisation associated with Danish football team FC København, Agge will be hoping his return to the Gfinity Esports Arena ends with him holding the trophy aloft in front of a resplendent crowd. PSG’s Daxe has been on the FIFA scene for a few years and, having been labelled as one of the rising stars of FIFA back in 2016, the Frenchman will be eager to turn promise into results and recreate his strong showing from the last FUT Champions Cup in London when he finished 4th. Having left Epsilon eSports for the City of Lights in 2016, Daxe is the longest-serving esports player on the PSG roster heralding a new era of esports investment as the Paris organisation demonstrated their commitment to investment in youth esports. With this in mind, Daxe will be hoping to repay the faith shown in him by his organisation by bringing home the trophy on Sunday. Another former Elite Series pro, Gorilla is a seasoned player having made his competitive FIFA debut back in 2014 for exceL Esports. After moving on to Epsilon and latterly UNILAD Esports, Gorilla is now rightly recognised as one of the world’s best FIFA players, and his win at the 2017 FIFA eWorld Cup was the culmination of years of hard work. However, Gorilla is far from done in FIFA and would love nothing more than landing a trophy in front of a home crowd. Adopting the popular 4-1-2-1-2 formation, Gorilla favours fast-paced build-up play, and when in full flow, there are very few players on the planet that can live with his attacking skills.